Duke's Appliances is a "one stop shop" for all of your home needs when building or redesigning your home. We are a family owned local business. Duke's Appliances has all major kitchen and laundry appliances to fit all budgets. 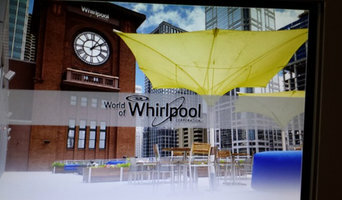 Also, we have outdoor kitchen and outdoor rated appliances. We have the following brands: Viking AGA/Marvel Electrolux Frigidaire Professional Frigidaire Gallery Frigidaire Tradewinds Scotsman Bull Outdoor Speed Queen Fisher & Paykel We deliver and install appliances from Punta Gorda to Key West! Contact us to make your dream home or kitchen come true! Come experience the "Duke's Difference!" Address: 128 S. Barfield Drive, Marco Island, FL 34145 We are located across from the Publix plaza. 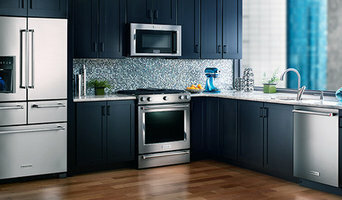 HH Gregg has been in Business since 1955 and doing Fine Line Appliances for over 10 years. I invite you to stop in to see our newly renovated showroom. I welcome both homeowners and contractors, from the smallest to complete complexes. I will coordinate your project from idea stage to completion making it the easiest transformation. 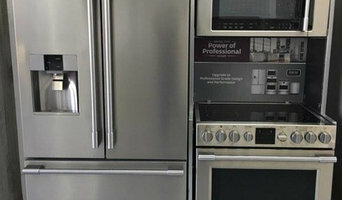 Please call or email for your personal concierge service We carry appliances for every budget. I also represent all of the other products that HH Gregg handles from TV's (large to small), Bedding, Furniture, Grills, and many other products. Working with many of the area’s Premier Builders, Interior Designers, and Cabinet Companies and the discriminating homeowner who like to be totally involved in their project from the start to the finished product. What started out as a backyard idea has transformed into our store. The Outdoor Appliance store is a family owned business that will provide you with excellent service and will listen to your personal needs and help you with any questions that may arise. We hope that you enjoy shopping and find everything you need to enjoy the outdoors. We strive for excellence and quality in service and hope that we can extend out passion for the outdoors to all of you. We are a company specialized in computer support and system. Get Your Gift Certificates For Window Tint, Stereo Packages, And Mobile Video Systems!Voted the best window tint company in Fort Myers and Cape Coral 5 years in a row! All Tint Jobs cover 4 doors and a back window, Difficult vehicles and additional windows will be priced accordingly.We do iPod docks, Ipod Integration, Charging Stations, iPad mounts, and MORE!! At Auto Sound Cape Coral, We can turn any factory radio, into the ULTIMATE SOUND EXPERIENCE. We offer the best in Ipod integration, docks, mounts, Sirius XM, and much much more. Your Florida appliance professional might handle any or all of the following jobs: selling, installing, repairing and upgrading both small and large appliances. He or she can advise you on the right equipment for your Naples Park, FL home, from features to finishes, and is usually in the know about the latest technological advances and bells and whistles. When appliances hit a snag or start to show their age, a pro can advise you whether to repair or replace them, then carry out his or her recommendation. Some appliance professionals work closely with Naples Park, FL builders, remodeling contractors, and kitchen and bath designers, among others. Here are some related professionals and vendors to complement the work of appliances: Kitchen & Bath Fixtures, Kitchen & Bath Designers, Kitchen & Bath Remodelers, Specialty Contractors, General Contractors. Find an appliance professional on Houzz. Narrow your search in the Professionals section of the website to Naples Park, FL appliances. You can also look through Naples Park, FL photos to find examples of rooms with appliances you like, then contact the professional who worked on them.